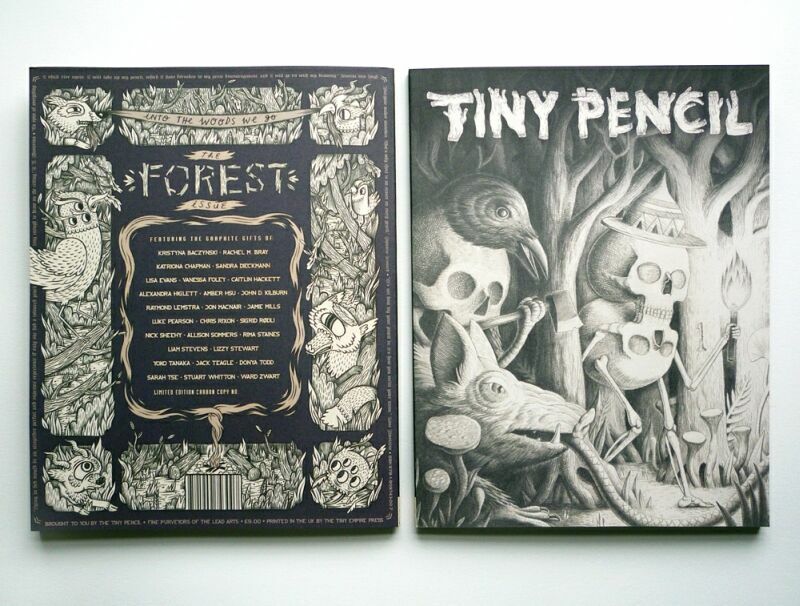 Founded and co-edited by Amber Hsu and Katriona Chapman, Tiny Pencil is the latest anthology publication to burst onto the British small press scene. As its name suggests, the raison d’etre for this particular group effort is to celebrate all things graphite-based in the illustrative arts. Part comics, part artzine, the first issue launched in April boasting an amazing line-up of talent including the likes of Luke Pearson (Hilda and the Bird Parade), Kristyna Baczynski (Nelson, Solipsistic Pop – image below left), Donya Todd (Death and the Girls) and Jack Teagle (Fight!). It’s no secret that the last few years have seen a plethora of critically acclaimed small press-style anthologies in the U.K. and we’ve been spoilt by the likes of The Comix Reader, ink + PAPER, Solipsistic Pop, Team Girl Comic, Paper Science, Bimba, the transatlantic The Strumpet and almost certainly another two or three I will feel guilty about not listing by the time this column has been published. What never ceases to amaze me though is the way in which all of these publications, although often drawing on similar pools of talent, find their own voice and their own specific reason for existing. Tiny Pencil is, perhaps, the most focused and defined of all of the anthology publications I’ve reviewed in ‘Small Pressganged’ since the column began in 2011. Mixing illustration and comics with that fixed remit of promoting the often overlooked medium of pencil art Tiny Pencil is, as the TP website says, “devoted entirely to that special joy that only good graphite gives.” That’s a soundbite I rather like and one that encapsulates the project’s aims in a beautifully succinct eleven words. 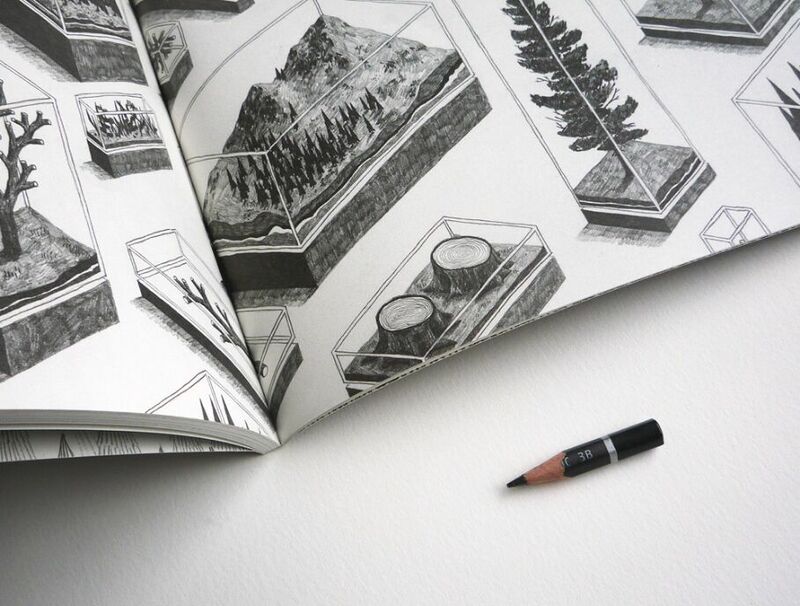 This opening issue is subtitled ‘Into the Woods We Go’ with each artist’s work being based around a forest theme. Dividing my commentary on Tiny Pencil’s interiors between the sequential and non-sequential art I’ll begin with some of those comics pieces, and what better place to start than with co-editor Katriona Chapman. I was a big fan of Katriona’s Brockley Foxtrot last year and her short story here ‘Walking to the Kishorn Islands’ is similarly demonstrative of that keen eye she has for underlining the fragility of our relationship with the natural world; delicate visuals combining with an almost poetic ambience in this examination of human encroachment on the wild. Alexandra Higlett’s ‘Angus Ruadgh’ adapts a story with folk tale leanings to dark and atmospheric effect with thick, shadowy shading while Luke Pearson echoes his Hilda work at Nobrow with a memorable two-pager that gives a child’s eye view of the imagined terrors within a foreboding wood. In fact all of the comics work herein is good value with each artist embracing the unique storytelling advantages that the medium offers. 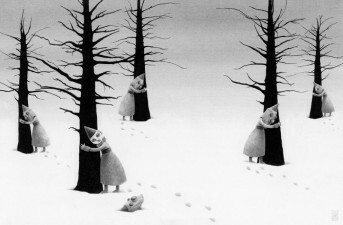 Imaginations are certainly unleashed on the non-sequential illustrative pieces with interpretations on the issue’s woodland topic that range from the surreal to the chilling, and from the magical to the defiantly grotesque. There’s something very haunting about Yoko Tanaka’s gnome-like tree-huggers while Jamie Mills’s forest in a museum (above) is almost clinically frightening. 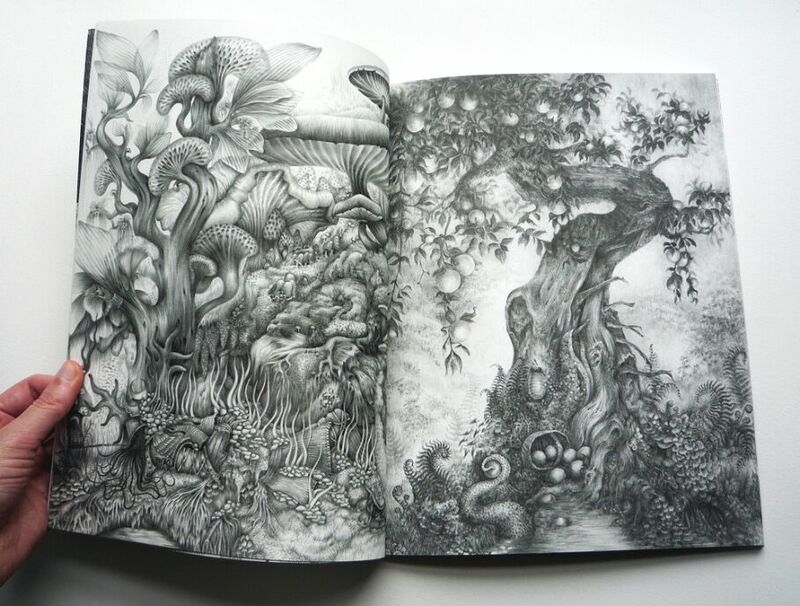 Other pieces that particularly caught my attention included Lizzy Stewart’s landscape with its echoes of the early pages of Where the Wild Things Are and the almost fantastical lushness of Rachel Bray’s highly detailed double pages (pictured). Amber Hsu and Katriona Chapman’s achievements here are twofold. There’s that primary objective of providing a print platform for pencil-based art, of course, but also the accomplishment of putting together such an amazing group of diverse talents in one place. 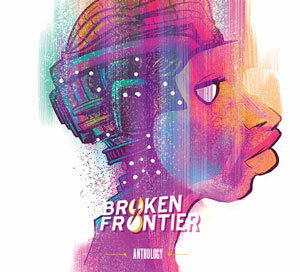 And not only do we get to see old favourites working in this very specific artistic practice but, as is always the draw with anthology affairs, the lure of unfamiliar creators ripe for further investigation is also very apparent. 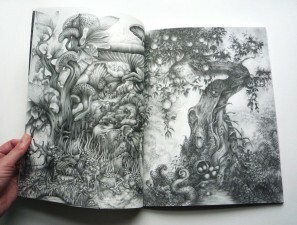 Not merely a book, Tiny Pencil is also an opportunity to lose yourself in the many enchanting and elaborate worlds that reside within its pages. A beautiful physical object that I guarantee you will come back to browse time and time again. Tiny Pencil is co-edited by Amber Hsu and Katriona Chapman. Check out the official website here for more details and buy your copy online here priced £9.00. 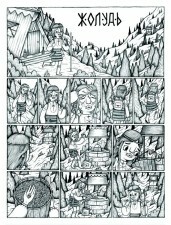 Tiny Pencil #2.0: Mammals, Monsters & Mars! It’s been a year of immensely exciting developments in the U.K. small press scene and TINY PENCIL is one of the coolest!